O’Driscoll O’Neill provide insurance cover for IWA members in the case of third party liability, which automatically comes as part of your IWA membership benefits when you keep your membership up to date. 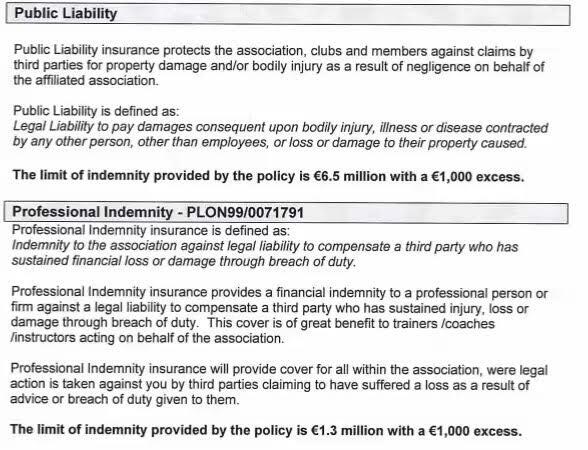 Cover is provided anywhere in the world and the limit of indemnity is currently set at €6,500,000 per incident. Now for the first time, O’Driscoll O’Neil are also offering personal equipment insurance, in case of theft, fire damage, etc..
For more information on this, please contact O’Driscoll O’Neil Sports Department directly. You can view their details by downloading this flyer as a PDF.